The Utah AABL (Adult Amateur Baseball League) is located in Salt Lake City, Utah. We provide adult players with an opportunity to play baseball with other players in their own age group and skill level. Our mission is simple. Our goal is to provide an opportunity for men 18 and over to play hard competitive baseball. We are all wannabes, has beens, never was, but for those three hours we aren’t married, we have no kids, we don’t have bills, and we don’t have jobs. We are at bat, or on the mound, in the bottom of the 9th with two outs and the bases loaded. The Utah AABL Salt Lake City League, founded in 1989, is currently divided into four (4) age determined divisions, totaling 30 teams and approximately 400 players. The divisions are designed for players 18+, 25+, 35+ and 45+. Aside from age eligibility, there are no rules preventing a player from joining a team in any of the four age divisions. It all depends on the player’s skill and comfort level on the field. Most games are played on baseball diamonds within the Salt Lake County Parks system and the Murray County Parks system. The fields that we use include Hillcrest Union, Ken Price Stadium, Oquirrh North, Oquirrh South, Southridge Park, and Willow Pond Park. Our Spring baseball season generally starts the last weekend of March and continues through the month of July. The Fall season starts the first week in August and ends the last week of September. Qualifying teams compete in a playoff tournament held in October. What is the National MSBL? The Utah AABL is an affiliate of the Men’s Senior Baseball League (MSBL), which is a national organization composed of 370 local leagues in various markets across the United States. Steve Sigler established MSBL in 1988 and it has grown to over 4,500 teams and 85,000 members. The benefits of the MSBL network include access to 34 regional tournaments and six national tournaments, including the MSBL World Series held in Phoenix each year. For more information, visit www.msblnational.com. 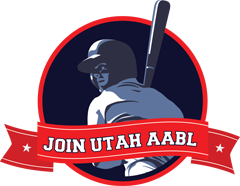 Don't miss out on Utah AABL league news, events and highlights!